Beyoncé establishes scholarships at four HBCUs. On the heels of her historic Coachella appearance, Beyoncé announced a new scholarship program with four historically black colleges and universities across the United States, according to her website. The scholarships are part of her BeyGOOD initiative, a philanthropic effort to promote change through awareness, programs and fundraisers across a variety of causes that are important to the Queen Bey herself. If you didn’t catch Beyoncé’s performance live at Coachella or on social media platforms, it was a celebration of Black culture in America that featured HBCUs quite prominently. The BeyGood press release describes it with the following: “The show, with its homage to excellence in education, was a celebration of the homecoming weekend experience, the highest display of college pride. The energy-filled production put the spotlight on art and culture, mixing the ancient and the modern, which resonated masterfully through the marching band, performance art, choir and dance. It was the impetus to mark her second scholarship program.” Her newest scholarship opportunity, Homecoming Scholars Award Program, is thus aptly named. The scholarship program will be available at the following HBCUs: Xavier University of Louisiana, Wilberforce University, Tuskegee University and Bethune-Cookman University. Each scholarship is worth $25,000 and universities are responsible for selecting the finalists and winners. Candidates will be selected from a breadth of disciplines, including literature, creative arts, African-American studies, science, education, business, communications, social sciences, computer science and engineering. Finally, there is no gender specification for the scholarship, but applicants must have at least a 3.5 GPA. This is not Beyoncé’s first foray into academia and scholarships. Last year, to commemorate the one-year anniversary of the release of her visual album LEMONADE, Beyoncé gave away four scholarships to “Formation Scholars” at Berklee College of Music, Parsons School of Design, Howard University and Spelman College. Award Amount: 4 Awards of $25,000 Sponsored by Beyoncé, the Homecoming Scholars Award is available to students at Xavier University, Wilberforce University, Tuskegee University and Bethune-Cookman University. You must be pursuing studies in literature, creative arts, African- American studies, science, education, business, communications, social sciences, computer science or engineering to be eligible for this award. Learn more about Beyoncé’s Homecoming Scholars Award. UPDATE: Beyoncé performed yet again this past weekend at Coachella; and just like last week, she announced four additional scholarships for HBCU’s. This time, BeyGOOD has joined forces with Google.org, Google’s philanthropic branch, to provide one $25,000 scholarship to each of the following schools: Texas Southern University, Fisk University, Morehouse College and Grambling State University. With this partnership, Beyoncé has urged other businesses to follow suit and “invest in excellence through education,” according to the press release. 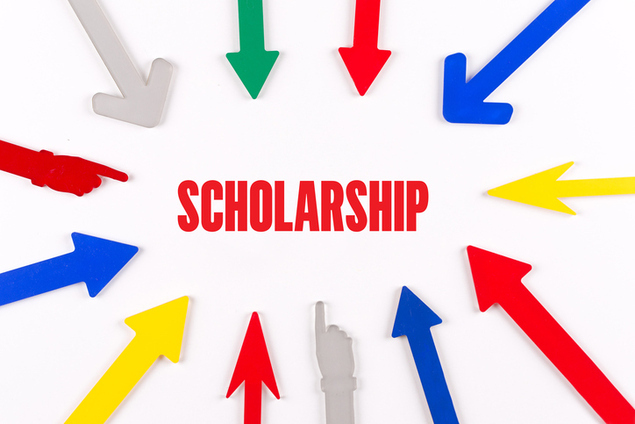 The criterion for the second release of scholarships remains the same as well as falls within the Homecoming Scholars Award Program.